Partner Celebration featuring Spellbinders! GIVEAWAY! Today we are celebrating our partnership with a company we all know and love, Spellbinders! We've worked with Spellbinders for years with Scrapbook & Cards Today magazine and with our Crop & Create events. Speaking of Crop & Create, we're excited to announce that Spellbinders will be joining us at our Crop & Create event in Toronto in 2018! More on that to come. Yana shares how she created this beautiful card including a process video on the Spellbinder's blog here. Our friends at Spellbinders also want to join our celebration by sharing a prize package for one lucky SCT follower that includes the dies that Yana used to complete this card with! Feast your eyes on these GORGEOUS dies created by Becca Feekan! Would you love an opportunity to win this awesome prize package? Spellbinders would love to share this prize with one lucky reader! Be sure to leave a comment below by September 5th! All Partner Celebration winners will be randomly selected and revealed on September 8th! Good luck! 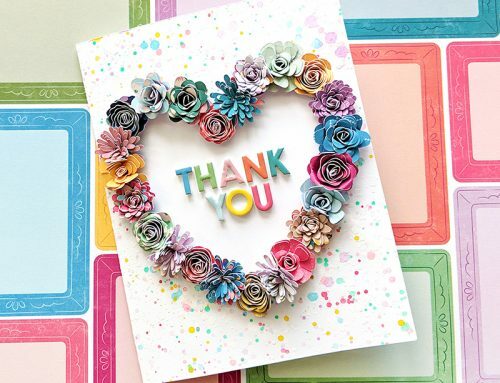 We hope you'll take a moment to visit Spellbinders on their Facebook page with a big "SCT thank you!" Our partners are loving that our readers are always so wonderfully appreciative! And in light of recent world events, a little kindness truly matters! Let's show Spellbinders and all our partners some love. Thank you Spellbinders, we treasure this partnership and can't wait to see you in Toronto! This package would be so versatile to use for many different occasions. Thanks for the great giveaway! love Spellbinder dies, intricate and very detail design, superb quality! I would be over the moon if I win this. Ooh wow, fabulous dies! Thanks for the chance. Pretty dies, thanks for the chance to win. Love Spellbinder dies. Would love to win these. What beautiful dies. Spellbinder makes the best dies in the business, and I use all of mine constantly. Spellbinders has some of the prettiest dies! Would love that lace! Thank you for the opportunity! WOW….those dies are just amazing…lovely inspiration!!! Awesome dies!! Great for cards and scrapbooking! These dies are really beautiful! Thanks for the giveaway Spellbinders! And what beautiful and intricate detailing in those dies! I would be so grateful to have those in my collection. Thank you for a chance at the prize! My word these dies are gorgeous and so is Yana’s card. Talk about elegant!!! Beautiful! I can think of many uses for these dies! Cards, tags, matts for frames, scrapbook layouts, embellishments, party favours,………. Yana’s work is so beautiful. If you’re not subscribed to her channel, go! And Becca’s elegant designs are not only gorgeous but so well thought out. I have her Arched Elegance dies & the name says it all. That hemstitch die is high on my wish list. Fabulous prize. What beautiful inspiration!!! Thanks for sharing! I LOVE Spellbinders! These are simply stunning….such beautiful dies! Wow! That’s on beautiful card Yana made. And the dies up for grabs make me drool. Lovely prize package. Thanks Spellbinders. Very elegant card with the dies. Those dies are amazing!.Love SCT and Spellbinders. I like the card. thanks for the chance to win!!! Spellbinders are so delicate. These dies take me back to my Nana and her handkerchieves. I still have some with that lovely lace. These are just gorgeous! This is such a beautiful card! I love Becca Feekan! She makes amazing cards that are so elegant!! Fancy card made ease with Spellbinder’s wonderful dies! Who wouldn’t want to have these beautiful dies…they are delicious!!! I can just picture the cards I can make with them. Oh my!!! I would love to win these beautiful dies! What a lovely prize. Thanks for the chance to win them. Oh my… those are gorgeous dies! Amazing dies – thanks for a chance to win. Wow! What an intricate and beautiful die. Lovely card! Such gorgeous and intricate die designs! Love Spellbinders! Thank you for the opportunity to win! What a truly beautiful card! Thanks for directing us to the video. My Spellbinders dies are very near and dear to me – many are so intricate and yet work perfectly! Spellbinders has the most beautiful, intricate dies! Thanks for such an awesome giveaway. Spell Binders have the best die cuts! These are absolutely gorgeous! Thanks for the chance to win such a wonderful prize! Oh my!!! I’m in love for the stunning Yana’s card!!! Love these dies!!! These intricate dies look amazing! Very impressive card! Love these intricate and stunning dies!!! What beautifully crafted dies, would love to win them. I could definitely use some new Spellbinders in my stash! I love love Spellbinders! A BIG thank you to Spellbinders! Yes please! I love ALL of Spellbinders dies and these are stunning! Especially the Marcheline Plume! Wowzers! So many awesome prizes this month! TFS! Oh my gosh! Those Spellbinder dies are so awesome! They will be the perfect addition to any card. Thank you for the chance to win some wonderful dies. Yana’s card is stunning! Oh, wow, I love the mixing-n-matching of the various dies to make a gorgeous one-of-a-kind shape. Thanks for the opportunity to win. This card is so elegant! The dies are just beautiful. Thank you for the lovely prize package Spellbinders! I love Spellbinder dies. Thanks for the chance to win these amazing dies!!! These are beautiful dies. They would make lovely wedding cards also! Such beautiful and intricate dies, they make wonderful elegant cards. Stunningly gorgeous card! Have always loved Spellbinders & these dies are some of my favorites–would love to win! These are SO beautiful and classy! They would really add elegance to a project! Fantastic dies! Great prize package. Thanks for the chance to win. Spellbinders always amazes. Thank you for the opportunity to try these out! Spellbinders does it all! From graphics to lace and everything in between! Love spellbinders dies they are such great quality, also love the elegance of Becca Feekens dies so pretty. Great cards and such a great prize, thanks for sharing and the chance to win. These dies and the card are absolutely gorgeous! What a great prize to win. Thanks SCT and Spellbinders. Beautiful card! I love my spellbinders, but don ‘t have these in my collection, would love to add them! I’m spellbound!! Thank you for sharing!! Thanks for showing off these Spellbinders products! Spellbinder dies are always the best quality, and with gorgeous designs. Thanks for sharing this exquisite card by Yana, and for the chance to win. I absolutely love the dies that Becca designs. She makes beautiful cards and the ones featured here are gorgeous. Thanks! What a gorgeous die! I’m constantly making Birthday cards for swaps, family and friends. They would luv to receive a card using those dies! Gorgeous card. Love those dies. Would love to win this gorgeous die collection. They are perfect for scrapbooking & cardmaking! The projects displayed are stunning! Spellbinders is the reason I started die cutting. Their lacy dies are so delicate and always add a wow to any project. This is where it all started! Thanks for the fun! I’ve been watching Yana use your stunning dies. She makes such gorgeous projects with them. I’d love to win these! Stunning! I love all of those beautiful layers and pretty papers! Yana’s video really made this look easy! Love it! always loved the spellbinder dies. Always need new dies – love Spellbinders ! I love the Spellbinders dies. Thank you for the opportunity to win the die. I don’t have these Spellbinders dies on my collection. They’ll fit in perfectly. Love spellbinder dies! Such detail!! Spellbinders rock. Love the designs. Marcheline Plume is the prettiest die I have ever seen. I love die cuts and these are exceptional thanks for the chance to win these. Another great card Yana! I love to see how you combine dies to create such elegant cards! These cards are so beautiful. Love these Spellbinders dies. Wow, these are great!I would love to add these to my collection. I love using barious dirs for projects. Winning some new dies to play with would be awesome. WOW! Awesome dies. I would love to win! Wow! Really great dies. Would love to win. Beautiful dies. Thanks for the chance. Wow great dies and a great prize package! wow!! yana’s card is beyond gorgeous!! what a fabulous prize spellbinders is providing!! Beautiful dies! They will make beautiful cards! Beautiful dies, so elegant and versatile! What gorgeous and intricate dies! So beautiful! I can see some gorgeous art being made with these. Thanks so much for sharing. These dies make beautiful cards. Beautiful dies and beautiful cards!!! I love my spellbinders and those are some amazing cards!!! Beautiful dies, as always from Spellbinders. Thanks for the chance to win them! I’ve been drooling over the hem-stitched dies. They are all beautiful. I love Spellbinders dies! I’ve bought so many over the years and still use them all frequently! One of my favorite companies. Gorgeous cards made with these wonderful dies ?? Beautiful dies…would love to win! These are soooo elegant…so gorgeous! Love the inspiration card! And those dies are beautiful. Love Spellbinders products. Thank you for the chance to win! What a great prize package! Love the projects shown! Gorgeous card and absolutely love the dies! Spellbinders continues to amaze me time after time with their brilliantly designed dies. Thank you for the chance to win this wonderful prize package. These dies are beautiful – so Victorian and lacy. More beautiful dies from Spellbinders! They are always so great at creating intricate dies. oh wow! those are beautiful! I would love this! that scroll is amazing! Thank you for this chance! Love all these dies but that Victoriana Crest gets my creative juices just bubbling in my crafty room of a brain… I see lacy cards in my friends and family’s future ! These dies are absolutely stunning! All I can say is WOW! Those dies are amazing! I really love Spellbinder dies! One of my favorites! Yana’s card is beautiful. Thanks for the chance to win. The dies are amazing and would make such beautiful cards. Yana is amazing and makes me buy a whole bunch of stuff I never thought I needed!!! Spellbinders makes such wonderful dies. A lovely prize package. Beautiful card. Love the dies. I love Spellbinders dies. These are so lovely. I would love to win them. Omg the card is just gorgeous! The dies are to die for ! Pun not intended! Love them and would love to win them ! The first die set I ever bought was the Spellbinders Borderabilities Scalloped Borders Two. I love the versatility of that set and it would be a privilege for me to own these classy and elegant die sets from Spellbinders. Thank you for the chance. Love the Spellbinders dies. 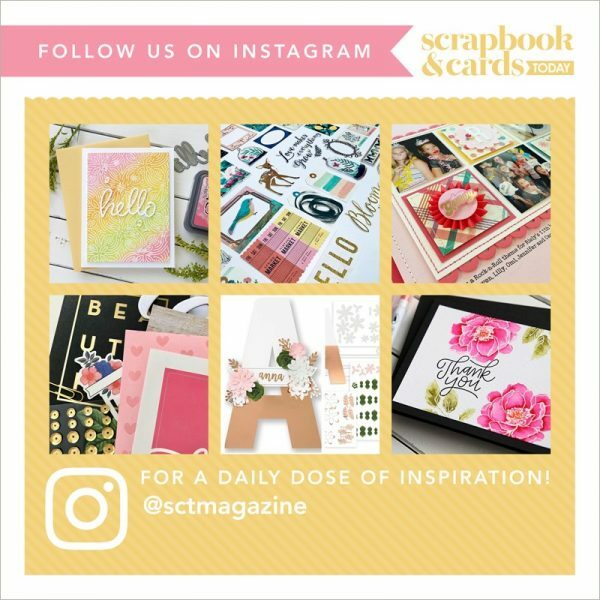 I can always count on getting great card making ideas from SCT! THANKS! I’m a rookie cardmaker, so I have been eagerly trying different products & experimenting with different methods. I watch a lot of tutorials and am familiar with Spellbinders, but haven’t had the opportunity to use any of their stuff yet! I am really loving the learning process & would love to get some “spellbinding”experience as well!! I admired Yana’s card when it first came out. I’d love a chance to win these dies. Thanks so much and thank you Spellbinders for your generosity! What great dies, can see so many ways to use these for memorable cards. Thanks for the chance to win this great die. Beautiful! I love to make my cards with layers! Beautiful dies from Spellbinders! Thanks for the chance to win! Thank you Spellbinders for today’s prize package! Love Spellbinders! They are my favourite dies to use! Spellbinders always has the most elegant dies. The Venise collections here is no exception. I love the swirls. Almost makes me feel like dancing. Thanks Spellbinders. The dies are beautiful and I can envision cards made with them. Thanks for the opportunity to win. In all of my supplies, I think my dies are by far my most favorite thing to create beautiful images. These dies are BEAUTIFUL and what an addition to my craft room they would make. Spellbinders has really done it again with this awesome collection of dies. Oh I am crossing my fingers. Thank you Spellbinders this generous prize. Those dies look amazing! Thank you for the chance! Gorgeous intricate dies. Would be a great addition to my collection. This is such a great prize pack, thanks Spellbinders and SCT. These dies make beautiful cards. Thanks for the chance to win! Beautiful dies as always. Thank you for sharing. Wow! Just gorgeous. I would love to win these dies. Thanks Spellbinders! These are amazing dies !! Thanks for the generosity. these are lovely, lovely dies! I hope I get a chance to use them! haha! thanks for a great prize! This is the most amazing prize. thank you so much Spellbinders. I hope to be the lucky one. Amazing dies – spellbinders it always awesome. They produce the most elaborate dies. Love them. Thanks Spellbinders for an awesome prize package would love to win. Gorgeous dies…or what I could do with them with my card making endeavors. Only one word for the these..Gorgeous!! Oh my! What gorgeous dies from Spellbinders! Amazing prize package. Thank you for a chance to win! Wonderful card and new dies! Love the layers. WOW, looks so detailed. What great dies from Spellbinders. Thank you for being such a great partner to SCT. WOW what an amazing card, I guess I need to spruce up my Spellbinders collections. I really LOVE the Marcheline Plume!! Love the details of all there dies. All so pretty. Thanks Spellbinders and SCT for the great give aways. Beautiful card as always! Such lovely and elegant intricate dies. Thanks for the opportunity to win. Spellbinders has the most beautiful, unique dies. One of my favorite companies! Thank you for the chance to win. WOW those are gorgeous die sets! Amazing inspirations. Love these dies and Spellbinders. Thanks for the chance to win. Very nice giveaway. You can never go wrong with Spellbinders. All the paper layers are so beautiful! The spellbinder dies make it all happen! Love Love Love Spellbinders. I can not get enough of there beautifully detailed dies. They are made well and always cut perfectly into my papers. Thank you for such a wonderful prize! I absolutely LOVE Spellbinder products!!! I use them all the time. Thanks Spellbinder!!!!! Spellbinders always has such beautiful dies! Thanks! What beautiful dies & what beautiful cards they make. Love these dies,such detail,I am just starting to do cards, this prize package would be awesome. Thank you SCT and Spellbinders. Very intricate and unique design dies. Thanks for a chance to win! I love to use dies on my greeting cards. These are some fantastic designs. thanks for the chance to win some of them. These are great! Would love to win them! So pretty! I would have to buy a bigger die cut machine for these! Thanks for the chance to win! Love Spellbinders a lot. I use a lot of their dies. Thank you. Beautiful! Thanks for the chance to win some of your beautiful dies! Oh wow, those dies are awesome! What elegant die cuts. Great for many occasions. Beautiful dies that make beautiful cards! Thanks to Spellbinders for this generous give away. Would love to win! What a beautiful card! These dies are gorgeous! Beautiful dies- love the intricate designs. Thanks Spellbinders for the great prize. Oh, so gorgeous. I would love to win! Thank you, SCT and Spellbinders! Gorgeous work Yana! Those Spellbinders dies are wonderful. Spellbinders dies are some of my favorite and most used. They cover the gamut from cute and fun to sophisticated and elegant. What an incredibly generous prize package! 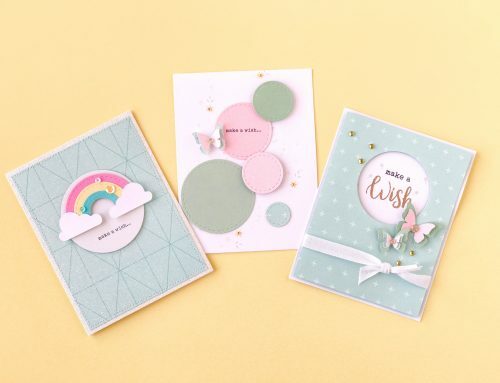 As a card maker, I’d love the opportunity to try to create special cards as beautiful as the ones featured here today using these awesome dies. 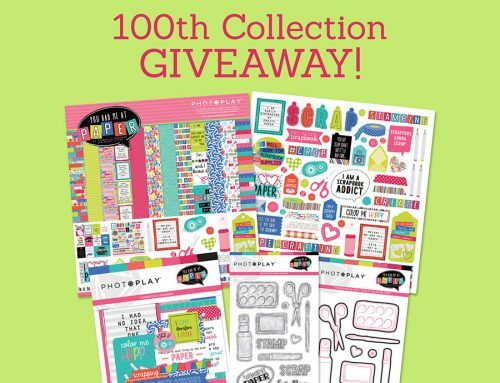 Thanks SCT and Spellbinders for this exciting chance to win! Amazing dies. Thanks for the chance to win them. Very cool! Thanks for a chance to win! Wow, so amazingly intricate! What beautiful dies and project by Yana. The dies are intricate, lovely. Beautiful dies. Would love to win these. Beautiful Dies! I have my fingers crossed! Their dies are always gorgeous with great details, great for elegant projects. Spellbinders dies are amazing! Love the cards created with them. i love dies. Just looking is making my cranking arm itch. I love Spellbinders dies especially, when Yana uses them to create such amazing cards. I would be over the moon to win this especially if its announced on my birthday on Sept 8th!! Thanks for sharing. Thanks for the chance to win….dies look amazing. This swirly die is fantastic! I love the dimension and the layers that you could create! Absolutely amazing! Those dies are so beautiful and intricate! Thanks for the chance to win them!!!! Love everything Spellbinders! Thanks for the chance to win! Beautiful dies….would love the chance to win those. Great Projects. Thank you for the fun contest. These dies are stunning, love them all. Spellbinder dies are always so beautiful and I would love to win these! These would be perfect to layer or just by themselves. I would love the chance to win some beautiful Spellbinders dies. These designs are so elegant! Gorgeous card and dies! Thanks for the chance to win! I would love to make some cards with those! Oh wow! The Spellbinders die cuts look so intricate. I love the sample cards that used them! Suc a gorgeous card, Yanea, and a really generous giveaway! Thank you for the opportunity to win! Great dies, could imagine uses for them… Thanks for the chance to win! really fancy stuff! Very pretty cards. These dirs make beuatiful cards and embellishments. Would love to win them. Amazin dies! thanks for the chance! Wow! Soooo beautiful and so generous! Thank you for the chance to win! They are amazing! Thanks for the giveaway. Absolutely gorgeous dies! Such beautiful details, and I know they cut so well… love Spellbinders! Spellbinders is the queen of dies. Beautiful and so detailed. Love Spellbinders’ dies! Their’s was the first dies I ever bought! I’ve gotten so many awesome dies from Spellbinders! Love their items! These dies are gorgeous! So much elegant detail! Such elegant dies. Love the detail. Oh!!! What a FABULOUS prize pack! How kind!!! Spellbinders creates the most amazing die designs! Gorgeous projects, thanks for a chance to win a fab prize! More amazing dies from Spellbinders. You can always tell their products from a mile away – so intricate and beautiful results! Spellbinds is synonymous with elegance. I have many but this one is on my list. Oh would love. LOVE Spellbinders dies and have many but not these that are shown! Such an elegant card! I love Yana’s creations! Thanks Spellbinders for the chance to win! The dies are beautiful. What a great prize. Thank you for the opportunity to win them. Ohhh what beautiful dies!!!! This would be SO wonderful to win!!!! Than you and Spellbinders for the chance!!! so very cool!! Great addition to my collection! Thank you for the chance! Spellbinders continues to amaze me with their beautiful die designs. Nice prize!!!! Thank you for chance to win. I love Spellbinders dies! Thanks for the opportunity to win! These are beautiful. Would love to add to my collection. What amazing dies – would love to win them!!! Love Spellbinders dies! Thanks for the chance to win. Love, love, love those dies! Thanks for the chance to win. I’m a huge fan of Spellbinders! I saw the video Yana Smakula did with these beautiful dies. They are amazing! Hope I win! These dies would be all anyone needs to create tons of elegant cards for all occasions, and I can see their use for sb pages as well. Lovely! Great prize pack. Love Spellbinders dies. Oh yes those dies are very cool, expensive so I do need to win to use! I already love Spellbinders but these dies are amazing! Thanks for the chance! These are wonderful. I would love to win these. Wow! Elegant! Awe Inspiring! Thank you, Spellbinders, for the prize pack opportunity and for your ongoing commitment to designing and producing awesome products! Such a beautiful card! Love the gorgeous dies! such elegant dies! Spellbinder dies were my first dies. good quality products always. Love the dies, And LOVE Becca!! Fabulous designs! Love love love spellbinders! Thank you for the chance to win! Spellbinder dies are fabulous, I have a few sets. Love these very elaborate patterns, they will make incredible creations! Really, can you have to many? Spellbinders is such an amazing company! Love this offer! I absolutely love Spellbinder dies. Their monthly kit club is a great way to get dies inexpensively. I follow Yana Smakula on You Tube too! I would love to win a prize form any of your partners!!! Thanks so much for this opportunity S&CT and spellbinders – these are beautiful!!!. I’m under your spell, Spellbinders! Wow! Beautiful card and I love love the dies in the prize package! Thanks so much Spellbinders and SCT. Beautiful die. If I win, it will give me an excuse to buy a cutter!!! Spellbinders dies are the best, just love them.. Thank you for the opportunity. Wow, those are beautiful dies! Spellbinders is one of my favorite companies. would love to win. Those are gorgeous dies and Yana is super duper amazing! Love her! Becca Feekan’s designs are my favorite. What a great project inspiration and what beautiful dies! I love Yana’s work and subscribe to her blog and YouTube. She does amazing things with Spellbinder dies! Love to win some of these stunning pieces! So very elegant! Would love to win! The designs are so intricate. Thanks for the chance to win. Oh wow! These are beautiful! Love SCT and Spellbinder products. Thank you for sharing! OMG! The detail is just amazing! These would be fabulous! Thanks for the chance to be spoiled! Beautiful card creation! Spellbinder has obviously been around a long time for good reason. Beautiful!!! Thank you for a chance.. I took a class yesterday with Sabrina, she used your dies. I just love the results. I would treasure these dies, they are great. What an awesome give away. I have heard good things about your product but dont own any yet. The creations Yana presents are always so gorgeous. Hope I win something. The Spellbinders dies are certainly one of the top in the industry! Thanks for the change SCT ! After retiring, selling our home and contents, giving away stash(won’t fit in RV), and moving to Alaska I miss my dies. I kept two containers of dies. I guess you could have called me a die collector. Now we are in the process of building a cabin with a craft island with a space just for dies. Thank you for your generous offer. Those dies are so pretty! Love the cards you made with them! Wow….spellbinders keeps getting better and better. These dies are amazing. Spellbinder dies are so wonderful. Yana always creates such beautiful cards with Spellbinder products. Oh my goodness, these dies are gorgeous and so unique! They would dress up any card! Hoping to win these beauties! You can always count on spellbinders to fancy things up! Such elegant dies. I’d love to win these. The Marcheline may be the prettiest die I have ever seen! Thanks for the opportunity to win this awesome prize package from Spellbinders! These will look good on vintage cards! Beautiful details. Wow – die technology is getting so detailed – that Marcheline plumes die is incredible – it takes my breath away! Wow! So elegant and classical. Just beautiful for any card or page. So elegant. I love Spellbinders dies. I love Spellbinders and this card is over the top! The delicate die cuts are wonderful. 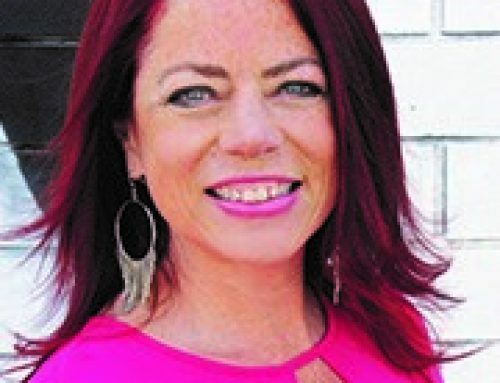 Thanks Spellbinder. Gorgeous cards!!! Beautiful dies!! Thank you Spellbinders and SCT. Awesome prize pack Spellbinders! I love your dies! The intricate die cuts are just awesome. Love Spellbinders which is a staple in my stash for die cuts. These are gorgeous dies. Would love to play with these. Really is there anything better then getting to use Spellbinders. Thanks for the chance to win. Spellbinders products are always so elegant – another bunch of great dies. Wow those are lovely dies. Thank you for the chance to win. WHAT A WONDERFUL PRIZE!!! THANKS FOR THE GREAT ART IDEAS TOO! Those dies are awesome. Lovely giveaway package. These are fabulous dies and I can create so many beautiful projects with them! I always buy Spellbinders Dies at Michaels! Beautiful dies and super gorgeous cards! I would love these dies!! The card is beautiful! I only have a few dies. I would love to add these to my small collection! So in love with this… for my wedding album. Wish I had it before for my invites. I love the Victorian Crest. Stunning! I would love the chance to win such beautiful dies! ooooh how delicate looking. Pretty!!! would love some new spellbinders dies. Spellbinder dies are so pretty and intricate. The card is beautiful I would love to add these to my collection for sure! ? What a great prize. Love their dies! Fabulous dies and great card. Thanks for the chance. Fabulous dies! Love the card that Yana made. Glad you are here partnering with SCT. The dies are amazing – love the lace one – the look is fabulous! Thank you! Spellbinders creates such lovely designs! These are great & would make an awesome addition to the craft studio!! Their designs are just amazing. Wow, these dies are amazing. I love all their dies but that is spectacular! Those dies are to die for!! Fingers crossed! Oh! These gorgeous beauties are on my wishlist!!! Beautiful dies! Only from Spellbinders. Love Spellbinders dies. Amazing dies. Thank you. I love Spellbinder dies….these are GORGEOUS!! Spellbinders rock! Thanks for the opportunity to win such amazing and detailed dies! How gorgeous are those dies?! I have been dreaming about the Venice Lace die for so long and with so many weddings and showers coming up for next year this is one die that I would absolutely love to have! Thank you Spellbinders and SCT for such an amazing prize!!! I sure would ❤️ to win this one!!!! 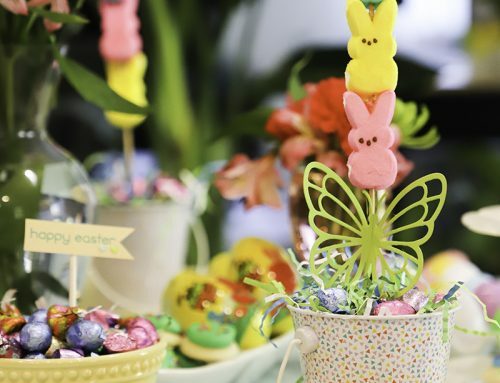 WOW – I would LOVE the chance to get creative with these DELICATE DELIGHTS! What a beautiful card! Wonderful dies! Gorgeous! Love Spellbinder products! And Yana makes beautiful cards. Wow! Beautiful dies. Super prize. What elegant designs! Thanks Spellbinders! These dies are gorgeous. Love the stitched rectangles. Thanks for the chance to win. What incredible dies! So beautiful! Thanks for the giveaway! Such beautiful cards!! I really adore the dies used – have been wanting the hemstitch one in particular but usually out of stock!! Would love to win it here!! Thanks for the chance SCT!! What a gorgeous card! Thanks for the giveaway. Wow! What gorgeous, intricate dies! Beautiful work. Patience and talent are evident. These dies are gorgeous! My cousin is getting married this year and I can see making a beautiful card with these! Beautiful inspiration and sending a big thanks! Yana has always inspired me with her beautiful spellbinder projects, simply stunning! Spellbinders are some of my favorite die cuts. Would love to win! Great dies! They would be so much fun to use. These are simply beautiful dies, thank you for the chance to win. Such delicate dies–could create a mountain of elegant cards with these. Thank you for the chance to win. Gorgeous cards and those dies are so beautiful!! WOW!! Thanks Spellbinders! I’ve just started collecting dies, would love to play with these!